If your affinity for fashion is of the Parisian variety, there is perhaps no better example than French fashion editors. They are known for their immaculate wardrobes that change very little from season to season. Their closets are built around pieces that can be worn for years—not just of-the-moment items that will be retired after one short season. So what are the fashion items you’ll find in the French-editor capsule wardrobe? To start, you’ll find plenty of neutrals and elevated basics that can be worn on the regular—pieces like ankle boots with a sophisticated crocodile finish or well-cut turtlenecks for layering. They also have a mastery of dressing up everyday items like jeans and blazers that make them come off as polished instead of ordinary. Ahead, find the nine pieces every French fashion editor owns, and then shop them for yourself to replicate their style. French editors know that pieces like faux-croc boots and leather bags are the items that will pull together their outfits. The square toe is on trend but timeless. This one is from French It Girl Jeanne Damas's brand. Have you noticed every French editor has a closet stocked with turtlenecks? That's because they're the ultimate cold-weather layering essential to wear with a blazer and high-waisted trousers or denim. Just look to Vogue Paris editor in chief Emmanuelle Alt, who regularly wears blanket-like coats and boots with Western silhouettes. This isn't just because it's a current trend. This is something French editors have been wearing for years. Isabel Marant is a brand you'll be sure to find in every French editor's closet. You'll spot black in every French editor's closet because it's the seasonless color that always looks chic. Try wearing tailored pieces together for an instantly stylish look. Everyone needs a great pair of black pants. Carine Roitfeld is known for her signature pencil skirts, and other French editors also wear them on the regular. You can never go wrong with Tom Ford. 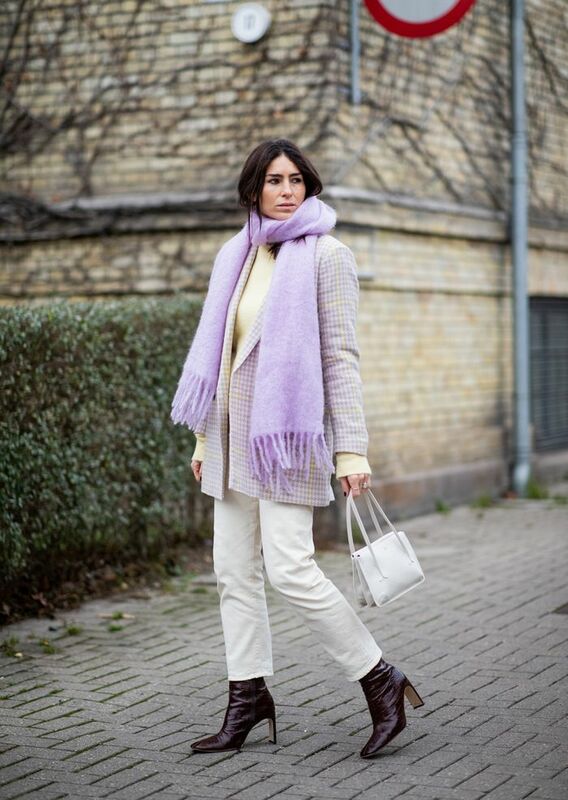 French editors all know that neutral colors are the perfect building blocks of any great wardrobe. This shearling jacket is the perfect balance of rugged and polished. Nothing throws an outfit together like an expertly tailored blazer. Belted or unbelted, this blazer is a must. Utility wear is on trend for 2019, but it has been in French editors' closets for years in green khaki shades. Style this with a beige skirt or layered over green trousers. The perfect take on the trend. Denim is the grounding piece of many French fashion editors' outfits, and they opt for straight-leg cuts more than any others. Try this affordable pair from Topshop.